was born in 1949 in Brooklyn, New York. After graduating with honors from Yale College and Cambridge University with degrees in English Literature, he began a prolific career as a freelance journalist. Between 1973 and 1982, Chernow published over sixty articles in national publications, including numerous cover stories. In the mid-80s Chernow went to work at the Twentieth Century Fund, a prestigious New York think tank, where he served as director of financial policy studies and received what he described as "a crash course in economics and financial history. "Chernow's journalistic talents combined with his experience studying financial policy culminated in the writing of his extraordinary first book, (1990) . Winner of the 1990 National Book Award for Nonfiction, The House of Morgan traces the amazing history of four generations of the J.P. Morgan empire. The New York Times Book Review wrote, "As a portrait of finance, politics and the world of avarice and ambition on Wall Street, the book has the movement and tension of an epic novel. It is, quite simply, a tour de force. " Chernow continued his exploration of famous financial dynasties with his second book, (1994) , the story of a remarkable Jewish family. The book traces Hamburg's most influential banking family of the 18th century from their successful beginnings to when Hitler's Third Reich forced them to give up their business, and ultimately to their regained prosperity in America on Wall Street. Described by Time as "one of the great American biographies," Chernow's (1998) brilliantly reveals the complexities of America's first billionaire. Rockefeller was known as a Robber Baron, whose Standard Oil Company monopolized an entire industry before it was broken up by the famous Supreme Court anti-trust decision in 1911. At the same time, Rockefeller was one of the century's greatest philanthropists donating enormous sums to universities and medical institutions. 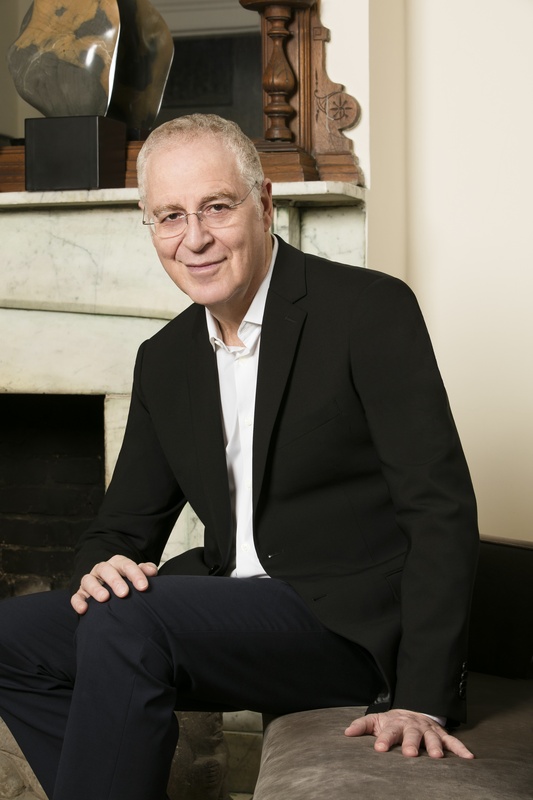 Chernow is the Secretary of PEN American Center, the country's most prominent writers' organization, and is currently at work on a biography of Alexander Hamilton. He lives in Brooklyn Heights, New York. In addition to writing biographies, Chernow is a book reviewer, essayist, and radio commentator. His book reviews and op-ed articles appear frequently in The New York Times and The Wall Street Journal. He comments regularly on business and finance for National Public Radio and for many shows on CNBC, CNN, and the Fox News Channel. In addition, he served as the principal expert on the A&E biography of J.P. Morgan and will be featured as the key Rockefeller expert on an upcoming CNBC documentary.